The classes offered in the Polish school are for children in four different age groups. The level of education is matched with child’s level of Polish language knowledge. 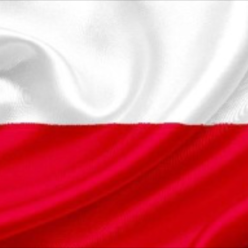 The teachers concentrate their best efforts on developing students’ Polish language skills, knowledge of Polish tradition and Polish culture. The classes take place at St. Ignatius Catholic Church in Tarpon Springs. The school year starts in September and ends in mid May. The classes take place every Saturday from 10:00 a.m. to 2:00 p.m.
Zajęcia w polskiej szkole prowadzone są dla dzieci w czterech grupach wiekowych. Poziom edukacji jest dopasowany do poziomu znajomości języka w grupie, tak aby każde dziecko mogło maksymalnie skorzystać z lekcji. Grono pedagogiczne dokłada wszelkich starań aby podtrzymać i rozwinąć znajomość języka, polskiej tradycji i kultury. Zajęcia są prowadzone w pomieszczeniach przy Kościele St. Ignatius w Tarpon Springs. Klasy spełniają wymagania potrzebne do zapewnienia edukacji o dobrym standardzie. Rok szkolny rozpoczyna się w połowie września, a kończy w połowie maja. Zajęcia w ciągu roku szkolnego odbywają się w każdą sobotę od 10:00am do 2:00pm. 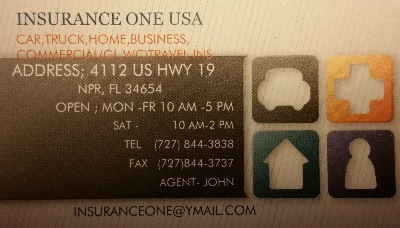 Insurance One USA in New Port Richey oferuje ubezpieczenia na samochody, ciężarówki, domy, komercyjne, biznesowe oraz na podróże. Agenci ubezpieczeniowi, Janusz i Sylwia, mowią po polsku. 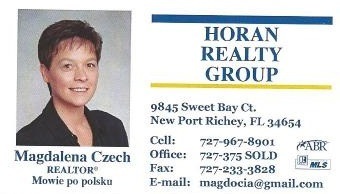 Magdalena Czech is a licensed real estate agent in Pasco, Pinellas, and Hernando County. She has over 15 years experience in helping clients in all real estate needs. She has strong internet presence and has been rated a premier agent on Zillow. Magdalena is fluent in Polish. Magdalena Czech jest licencjonowanym agentem nieruchomości w Pasco, Pinellas i Hernando County. Magdalena ma ponad 15 lat doświadczenia na rynku nieruchomosci. Magdalena ma silną obecność na internecie i na Zillow. Magdalena mówi biegle po polsku. 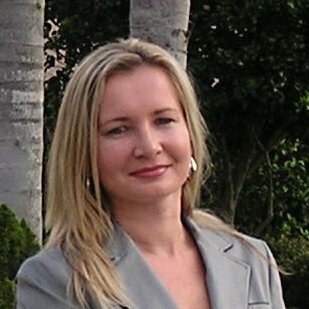 Dorota Pasek is a Polish realtor in Pasco County, Florida. Dorota can help you with all your real estate needs in New Port Richey and Tampa Bay Area. She speaks Polish. Dorota jest polskim pośrednikiem nieruchomości w Pasco County na Florydzie. Dorota może pomóc Ci kupić lub sprzedać nieruchomość w okolicach New Port Richey oraz w Tampa Bay. Dorota mówi po polsku. Attorney Aga Piasecka is an experienced general practice attorney, licensed to practice in Florida and in Poland. 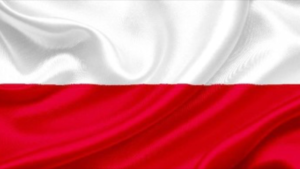 Aga Piasecka has over 16 years of experience and is fluent in English, Polish and Italian. She also communicates in Spanish and Russian. Call for free consultation in any legal matter including but not limited to: Family Law, Divorce, Alimony, Pre-Nuptial and Post-Nuptial contracts, Adoptions, Estate Planning, Wills and Trusts, Living Wills, Power of Attorney, Medical Power of Attorney, Probate Law, Immigration Law, Green Card Applications, Visas, Citizenship, Real Estate Law, Foreclosure Defense, Personal Injury Law, Accidents, Civil Law, Business Entity Formation, General Civil Litigation, Contracts, Evictions, and Social Security Disability benefits. Aga can also help with translations, notarizing documents and apostille certification. First consultation is free!